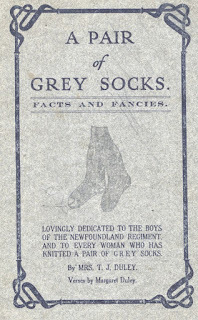 "A Newfoundland sock is the best in the world and is prized by every soldier. 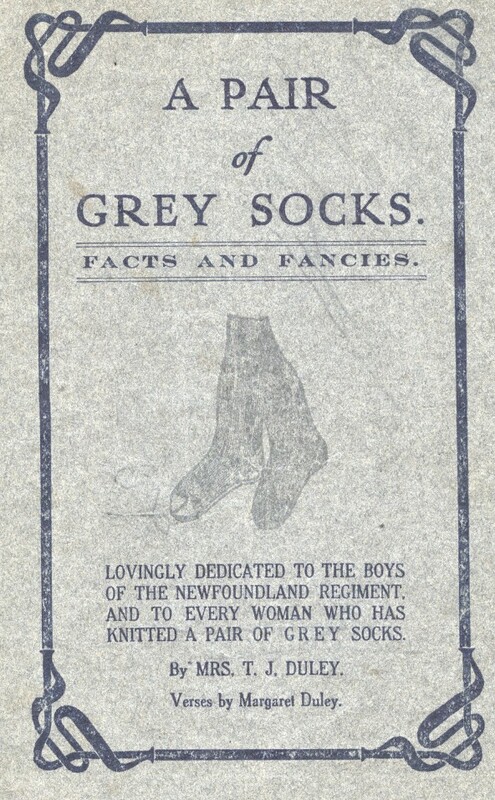 How many times at the Peninsula and before we ever saw Egypt have we been asked by soldiers of different regiments if we had a pair of Newfoundland socks to give them or sell them. They would even offer cigarettes in return." In the Evening Telegram the socks are described as being "of natural wool homespun and are made in the three principal sizes which are distinguished by rows of colo[u]red wool." It is recorded that 62,685 pairs of socks were knitted by the women of the WPA. The socks were considered more than comfort, it was actually military necessity. The War Office's Field Service Regulations included instruction for the care of feet. For this reason, the women were required to follow the sock pattern provided strictly, in order to create the most comfortable sock. In A pair of grey socks: facts and fancies, it is described that the socks must be loosely knitted to make the sock soft for marching feet, must not reach the bend of the leg and have no chance of folding. This would cause great discomfort for the wearer. The knitting the WPA did helped greatly but the women went beyond knitting comforts to support the war effort. The women of the WPA organized concerts, plays, teas, bazaars and raffles. They also sold patriotic calendars, souvenir regimental badges, flowers and other goods. The WPA supported people at home in the province by creating a Visiting Committee. They kept in touch and visited with family and relatives of volunteers serving overseas. The committee also visited soldiers in local hospitals. In St. John's alone, the committee made 11,270 visits. By the end of the war there was around 250 branches across the province and over 15,000 members.The WPA collected more than $500,000 which is worth about $6.5 million today. When looking at other initiatives the WPA undertook, it is clear that the women of the WPA exceeded expectations of patriotic support! This is only some of the amazing work, written in summary, done by the Women's Patriotic Association. There are many sources available to learn more! 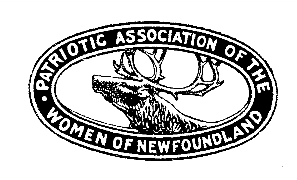 Stay tuned for a bibliography so you can view articles, books, photos and original documents.